The new head of the Boston FBI Field Office sat down with NBC10 Boston to talk about his new role. 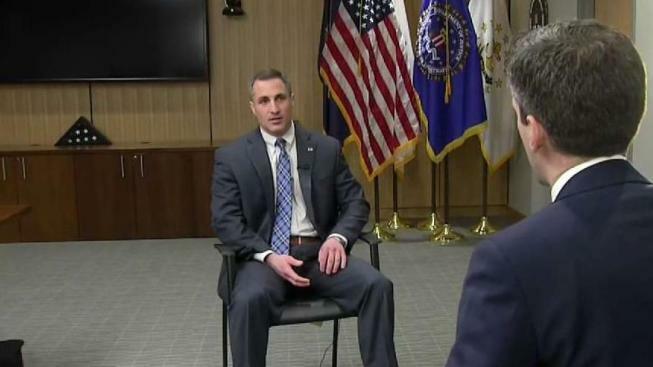 He's the FBI's new man in charge in Boston: Joseph Bonavolonta, special agent in charge of the Boston field office, sat down with NBC10 Boston Monday to talk about the current threats the bureau is tackling. "What keeps me up at night would simply be, 'What is it we don't know or what we aren't aware of,'" said Bonavolonta. He said the biggest threats are violent crime, gang violence, terrorism and cyber attacks. "We have nation states that are also backing or sponsoring criminal actor to engage in a wide variety of cyber-crimes," said Bonavolonta. The FBI veteran took over the field office in Chelsea in January. He now oversees several high profile cases, including "Operation Varsity Blues." In March, federal investigators announced the arrest of 50 parents, coaches and high profile celebrities in what's been called the biggest college admissions scandal in history. "We believe all of them parents, coaches and facilitators lied, cheated and covered up their crimes at the expense of hardworking students and taxpayers everywhere," said Bonavolonta at the March 12 press conference. It's a case that remains active. "As you know, that is an ongoing and active investigation, so I'm not going to comment any further than what we've already stated based on the press conference subsequent to the arrests in that case," said Bonavolonta. Asked if was still an ongoing and evolving case, he said, "Yes." Bonavolonta took over the post from Hank Shaw, but he's no stranger to this field office. He served as assistant special agent in charge from 2013 to 2017. His father was also in the bureau for 24 years and worked on organized crime investigations in New York. "You could say the FBI is in my DNA. It's in my blood," said Bonavolonta. The threats are always changing. Right now, the Boston field office is heavily involved in security preparations for the upcoming Boston Marathon. "We are incredibly focused on determining if there is any type of intelligence that could lend itself toward a credible threat," he said. "As we sit here right now, we have not determined any." Six years after the attack at the finish line, terrorism, both foreign and homegrown, remains a top threat. 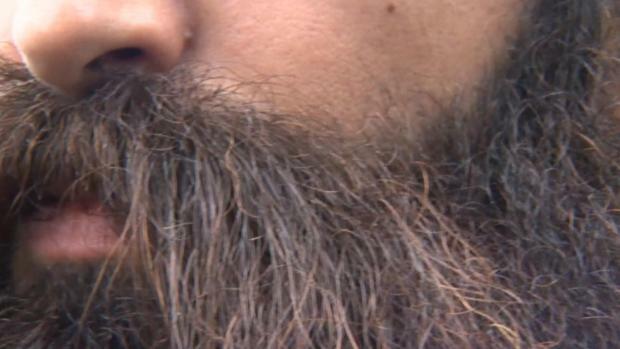 "I think now, when you look at what one of our primary focuses is within counter-terrorism program, it's home-grown violent extremists," said Bonavolonta. He added that the bureau continues to work around the clock on marathon security.